Dear Sophie, WOW, what a fantastic evening. So thoroughly enjoyed the whole occasion.Well done to you and your team. Hi Sophie, What a magnificent, stunning, awesome event you have mastered! Thank you sooooo much for the experience. This was definitely the most memorable party of all parties. Congratulations on an unforgettable event. Hi Sophie, I would like to congratulate you on how well you ‘do ‘ Parties. The buzz, the energy, the lighting, the entertainment were just fabulous.Well done! Hello Sophie, I write to thank you and congratulate you on the fantastic evening that you planned for Freda on 23 March 2007. I know I speak on behalf of many of my friends who attended, when I say you did a superb job and everyone thoroughly enjoyed themselves.I am involved with event planning here at RugbyWA and I know there are often ‘hitches’ that occur during an event, but if there were any on Friday you dealt with them well and they were not noticed by anyone.Once again, congratulations and thank for you making Freda’s and our night very special. I would like to recommend Taylored to Suit Event Management. Sophie Taylor and her team have brought our events to life. Creating not only an imaginative and stylish event, but entertaining and enjoyable for our clients to remember. 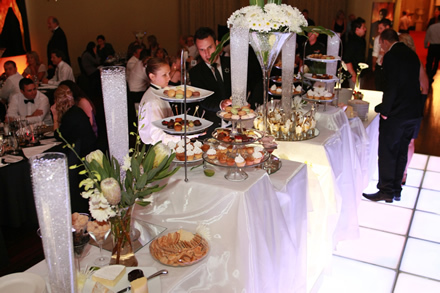 Executed with professionalism but also maintaining a personal touch to detail, ensure smooth and well-managed events. Thanks Sophie. IGA Distribution in WA has employed Taylored to Suit for the past 2 years to organise our annual Gala Dinner. This event involves key grocery manufacturers from around Australia and is a celebration of the successful independent grocery industry we have in WA. Sophie’s attention to detail and absolute passion for her work ensure that she consistently exceeds our expectations in delivering a spectacular event for us each year. I would have no hesitation in recommending her services. Taylored to Suit has been working with the John Hughes Group for seven years now. Their imaginative ideas, together with their professional organisational skills, have produced many successful events for my company. For a truly sensational event that’s remembered for years to come, contact Taylored to Suit today. Your first one hour consultation is absolutely free!